Every now and then, we share what some of the SDMW writers have been reading lately. What about you? Do you have any titles to recommend? (NOTE: speaking of books, there is still time to sign up for the SDMW Advent book exchange!). When I’m pregnant, I tend to seek out frivolous books. 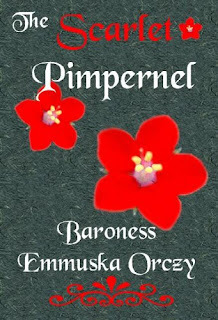 Baroness Orczy’s The Scarlet Pimpernel--the story of an Englishman who uses incredible disguises to rescue French aristocrats from the French Revolution--fit that bill perfectly. It’s been years since my first reading of the book, and this time, I was struck by two things: 1: This book is completely ridiculous. 2: Somehow, it kept me up late turning pages. On the one hand, any critic could easily shred this book to ribbons. The action and events are heavily contrived and contradictory. For instance, after conveying to the reader that the French are guarding the roads so thoroughly our hero could not possibly get through to his destination, our heroine has no trouble trotting merrily along in the shadowy ditches right beside a group of French troops. Apparently they aren’t very observant. Furthermore, all of the romantic tension between our hero and our heroine derives from them not telling each other things. If they had happened to choose to communicate, the book would not exist. Yet, somehow, some aspects of the story still strike a chord. Perhaps it's the ageless fascination of a character who, like Zoro or a hundred other secret heroes, appears to be a useless fop but is really a man of unparalleled strategic ability and fighting prowess. Perhaps it's the lure of the lone-man-against-evil archetype. Perhaps it's because the hero and the villain are symbolic representations of the two sides in a larger war. Whatever it is, it's rather fun. What does it mean to be a woman? 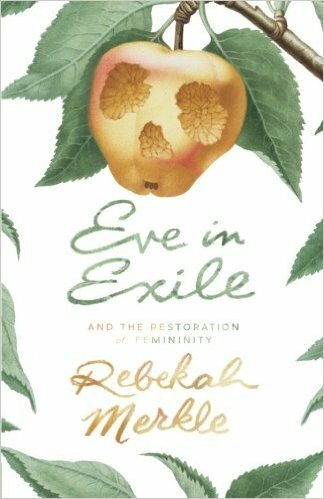 I’ve often asked myself the question, and it’s the question that led me to pick up and reread Eve in Exile and the Restoration of Femininity by Rebekah Merkle. The book’s summary/teaser begins with the statement, “The swooning Victorian ladies and the 1950’s housewives genuinely needed to be liberated. That much is indisputable.” What did women need to be liberated from? 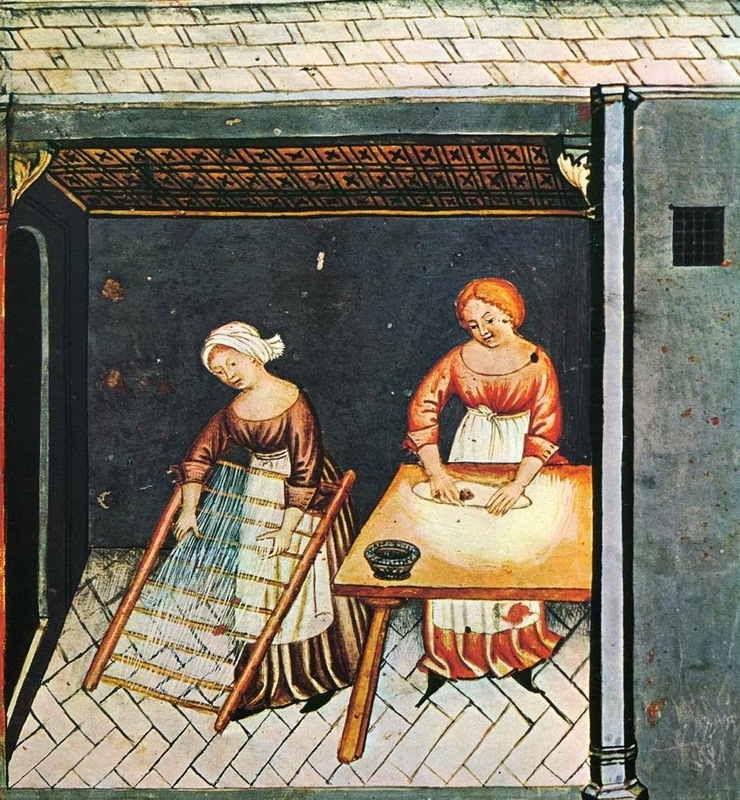 Fast forward to the present day, and Merkle argues women need to be set free from the caustic influence of secular feminists, as well as the prisons of their own afflicted minds. 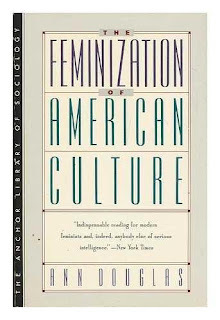 She dedicates a good chunk of the book’s beginning to providing an overview of First, Second, and Third Wave feminism. 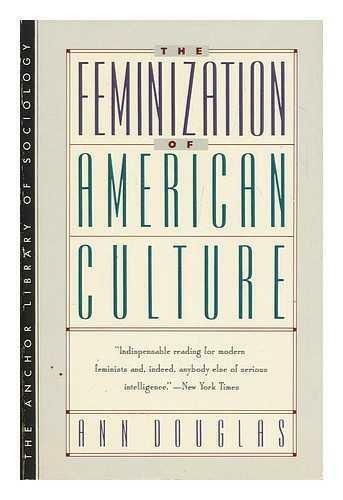 A few pages in, it becomes obvious the author is a well-educated woman who isn’t afraid to speak her mind. She possesses an admirable ability to translate her mind into words, writing with a clear, strong, and articulate voice. I was a bit intimidated by the overflow of applied intelligence and sometimes struggled with the tone. The presentation of points can come across as disrespectful or patronizing of others, particularly women. I bring this up only because I wouldn’t want a reader to get deterred by the tone and thereby miss the experience of reading through the entire book. Stick with it. The tone becomes more palatable, and farther in, every page becomes ignited by what I can only describe as a feminine fire. I found her descriptions of womanhood to be enlivening and inspiring. She states that “recapturing a true understanding of femininity would be intense, challenging, scary, fulfilling, and culturally transformative.” While I don’t find myself as passionately interested in changing the world these days, I love her intensity, and appreciate her vision of femininity as a beacon of light in a dark, fallen, confused, and hurting world. She understands that being the “city on a hill” often means setting up an outpost on the plain, and not just setting up, but staying put. And while you’re there, this is not the time to be swallowed up by distraction, futility, boredom, or resentment. There’s an incredible amount of work to be done, and women are the ones given and created by God to do it. Your purpose and duties can be summed up by Merkle in these four words: subdue, fill, help, and glorify. You don’t have to agree with every single word or philosophy in this book in order to appreciate the writing. “Women are born translators,” Merkle writes, “We take principles, abstract ideas, and then put flesh on them.” Married, single, mother, or not, she can “be the kind of woman who creates in those around her a deep and fundamental loyalty to all the right things, who can use her gifts to show the beauty of holiness and to make truth taste.” In everything she has, she gives thanks, and then runs with it. 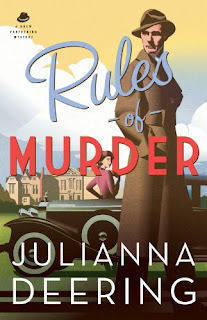 Rules of Murder by Julianna Deering introduces Drew Farthering, a wealthy British man of marriageable age with a fondness for mystery books. He and his best friend Nick return to Farthering Place, which is home to both of them--Drew inherited it from his father, and Nick's father is the butler, but the boys grew up together and are great pals. Drew's mother and stepfather are throwing a big party, during which Drew meets his stepfather's American niece, Madeline Parker. Also during this party, someone gets shot in the face. Drew and Nick decide to try to follow a list of advice from their favorite mystery author and figure out who the murderer is. They are both an aid and an impediment to the official police investigator, one Inspector Birdsong, who is alternately amused and annoyed by them. During the investigation, Drew and Madeline find themselves attracted to each other. Drew thinks it's love, while Madeline thinks it's too soon to tell, and I was very pleased by how well the author avoided the usual "insta-love" traps and pitfalls. Also, Madeline is a practicing Christian. Drew is kind of on the fence for most of the book--he believes more than he doesn't believe, sort of. So the story also involves him beginning to wonder if faith in God should involve more than just going to church now and then--if you should be living your life in a way that reflects your faith. All in all, a fun first book in what promises to be an enjoyable series! If this were a movie, I would rate it a soft PG-13 for violence, dangerous situations, innuendo about a married woman being unfaithful, and some mild kissing. No bad language. I assume some of your families are like mine. Maybe your children would form a band using whisks as microphones and belt out pirate shanties while wearing ostrich socks and straw hats. Your children might repurpose a gray hoodie as a squirrel costume, complete with furry ears and tail, or set up a formal tea party just so they can say, “Please pass a crumbly crumpet,” in a fake British accent. So, if you are anything like us, you would gladly pick up the book series that inspired each of these nutty activities over the past year. 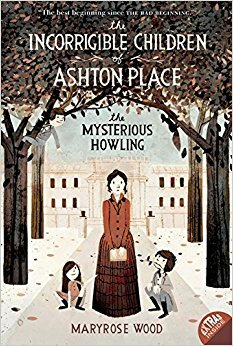 The Incorrigible Children of Ashton Place (by Maryrose Wood) was an accidental find. I was searching shelves of the library one day for a good read-aloud when I happened upon the series. Book 1 hummed along nicely, but the sentence that won us over was a description of people disembarking from a train like cows late for a milking appointment. Through snorts of laughter, the kids kept asking me to repeat the sentence. To fall in love with The Incorrigible Children, you will have to fall in love with Victorian England, with all its formalities and its oddities. That includes stuffy sitting parlors and proper manners, singing pirates, fortune tellers, ferns—and wolves. When a plucky teen named Penelope Lumley becomes a governess to three children, she quickly discovers they spent much of their young lives among a wolf pack. These are not storybook wolves who talk and end up dressing up like grannies but yellow-eyed, salivating wolves, warriors of the forest. Some characters believe the children are wild beasts themselves—and, in fact, it is in the interest of certain villainous personages that people treat the kids like animals. 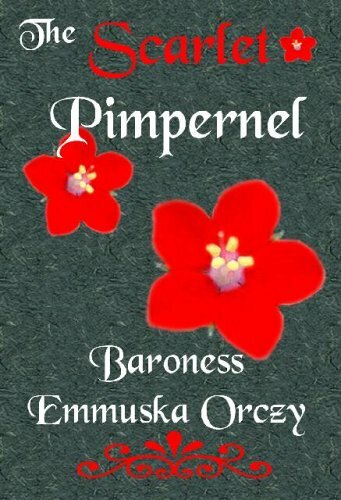 Miss Penelope Lumley’s optimism, however, overcomes all sorts of barriers that arise when the “wolf-babies,” as fortuneteller Madame Ionesco calls them, try to sit primly in the parlor or to run from danger. Every time we thought we had figured out what is happening, there was a twist that sent us in different direction. The first five books weave together a number of story lines, historical facts, silly humor, and charming characters into a tapestry fit for Her Majesty, the Queen. They are recommended for ages 8-12, but I read them aloud to children ages 5-9. There are certainly dark parts in these books, but I personally found that the charm, wit and generosity of the characters overcame the darkness. Some people may be taken back by a séance in book 3—I used it as a moment for a little lesson about the Victorian fascination with sensationalism in various forms. The curse that hangs over the main family leads the heroes into some scary places, but they have emerged unscathed from all of them so far. I cannot speak to the final fate of anyone, though, because book 6 does not yet exist, much to our dismay. We are eager to find out what happens to our friends in this twisty tale, but until we are able to get the final installment, we keep singin’ our shanties and passin’ the crumpets. My current scheme for doing more reading is to have one serious non-fiction book, one “easy read,” and one audio book going at any given time, so that I have something to fit whatever level of busyness the day may bring. The non-fiction book I most recently finished is Letters to My Daughters: The Art of Being a Wife by Barbara Rainey, which overall surprised me as being all-in-all a theologically sound book of marriage advice. The author is not Lutheran, but she comes close to a Lutheran understanding of the theology of the cross as it applies to marriage, emphasizing how it is a place for constant repentance and forgiveness. I also really appreciated how she takes head-on the issues of headship and submission, explaining them in a kind but unbendingly biblical way. It may not be a hugely revelatory book for most Christian wives, but it is solid in reminding us of what we should know. My “fun reading” of late has been a delightful journey through my old Laura Ingalls Wilder books. I started On the Banks of Plum Creek and have continued By the Shores of Silver Lake, through The Long Winter, and now onto Little Town on the Prairie. These books are well worth re-reading as an adult, when I am able to observe how much the stories teach about family and self-sacrifice. Even little Laura, who struggles to be as good as Mary, respects her parents so much that she would not think of wiggling in church; and older Laura simply accepts that she should be a teacher to fulfill Ma’s wish. Yet the Ingalls girls are not goody-two-shoes who never gripe or sin, which makes them all the more endearing. There are great things to note as well about a well-ordered life, the value of hard work, the satisfaction of making-do with little, the joy of wonder at nature, and so much more. While I work in the kitchen, my current audio book is Bleak House, which I became interested in through the recommendation of another SDMW author who wrote about it here some months ago. I am enjoying the elements of Dickensian mystery and trying to keep straight the multitude of characters. Much of the satire still retains its bite for our current society, too. It is particularly interesting to me how the story shifts back and forth between third-person omniscient narration and the heroine’s first-person narration, and I am eager to see how this scheme contributes to the overall arch of the story. Oooooooh, I think my kids and I would love The Incorrigible Children of Ashton Place too! I'll have to see if our library has it. Sounds splendid!